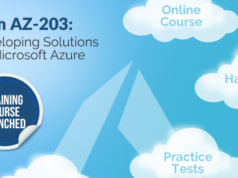 Blog Microsoft Azure How to Prepare for Microsoft Azure AZ-202 Exam? How to Prepare for Microsoft Azure AZ-202 Exam? 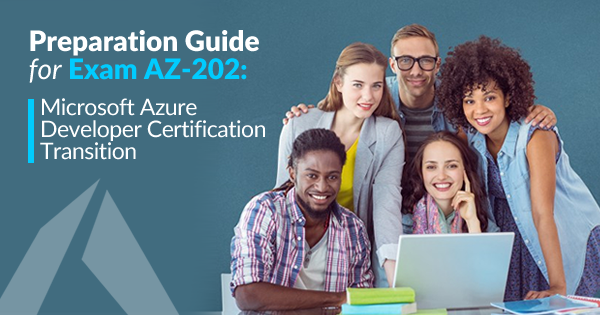 If you’ve already read our AZ-102 preparation guide, you’d know what an Azure transition exam is. Azure-202 is such an exam too. 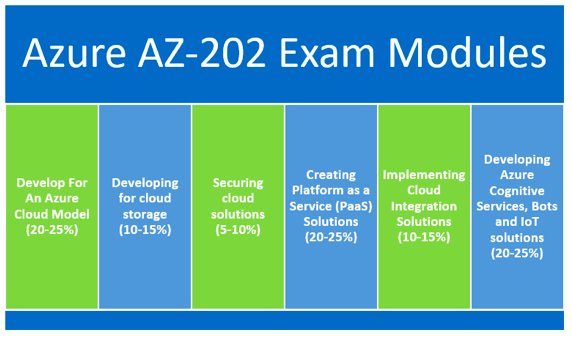 If AZ-102 is meant for the transition from 70-533 exam to new Azure role based exams, AZ-202 is for the transition from 70-532. It’s the core concept you need to know before starting AZ-202 exam preparation. So here, we’re going to see how you should gear up for the Microsoft AZ-202 Developer Certification Transition exam preparation with the right and reliable AZ-202 exam study guides. 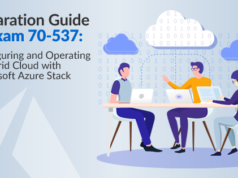 For the past few years, Azure 70-532 was one of the key exams that’s meant for proving one’s proficiency in developing Azure solutions. The success in this exam was considered as an appreciable step towards a qualified Azure developer role. Once you could pass this exam, it’d get attributed to a number of certifications like MCP, MCSA, MCSE, and MCSD. Now, with the introduction of performance (role) based exams, Microsoft has completely restructured its Azure exams curriculum. Only with the pass in 70-532, you are no longer eligible for any certifications. It’s for helping such a candidate who already passed in 70-532, Microsoft introduced the new AZ-202 transition exam. Hence, such candidates can avoid the need to take other exams like AZ-200 & AZ-201 to get Microsoft Certified Azure Developer certification. So, henceforth AZ-202 Exam Preparation should be the right objective in front of 70-532 passed candidates. Microsoft has launched a new certification path for the Azure Certifications. Check out new Role-based Microsoft Azure Certifications now. 3. Creating a Platform as a Service (PaaS) Solutions (20-25%): This module has 4 subsections. Creating an app service logic app, scheduling bulk operations, designing and developing applications that run in containers and creating app/service that runs on service fabric are the sections that come in this module. 4. Developing for cloud storage (10-15%): its subsections include developing solutions that use file storage & developing solutions that use a relational database. 5. Implementing cloud integration solutions (10-15%): Developing an application message model and configuring a message based integration architecture are the topics in this module. 6. Securing cloud solutions (5-10%): Implementing access control is the main activity that comes in this part. Your Microsoft AZ-202 Developer Certification Transition exam preparation shouldn’t be focus entirely towards one destination. You’ve to search and find reliable exam materials for your AZ-202 Exam Preparation. Some examples of such materials are listed below. This is Microsoft’s official page that contains all the necessary details about exams certified by Microsoft. Here, you can browse through each and every exam and can find the corresponding details. There’s a specific page for AZ-202 exam in this portal that contains exam scheduling options, exam pricing, exam prerequisites, study groups, links to training options & practice tests and so on. Before looking for any other Azure certification exam preparation guides, it’s a must to refer this page- if you are taking this exam seriously. Since AZ-202 is still in beta stage, chances are less for finding a reliable AZ-202 exam study guide or books that can help your preparation. Anyhow if you can’t find any of such book/guide after wasting much of your time, it’s better to skip the search. It’s because this exam can be retired within a few months as it’s merely a transition from exam 70-532. In such a situation, it’s better to look for any other preparation options. Perhaps, this would be the most convenient way to solve a candidate’s doubts regarding the exam. When you ask a question in such a group, there are high chances that you’ll get a positive reply from other members who’re more experienced than you. An official study group is available in AZ-202 page in Microsoft Learning portal itself. Apart from that, you can join external forums such as Azure community and MSDN forums which also can be very helpful for your AZ-202 exam preparation. if you think that a preparation guide for Microsoft AZ-202 exam isn’t sufficient enough to solve your doubts, you can opt for Instructor-led training from Microsoft portal itself. Here, you’ll find links to classroom training from certified Microsoft partners in your area. This training is available for each and every module in the exam. If you couldn’t able to find classroom training options in Microsoft learning platform for AZ-202, don’t worry – just check AZ-200 & AZ-201 training options in their respective pages. In this case, you’ll definitely find training partners in your area. Also, you need to spend some money for participating in the training. Anyhow, it’ll be so beneficial for AZ-202 exam preparation. Exercising practice tests for AZ-202 exam is a wonderful way to know the types of questions asked in the exam and to get practical experience in exam time allocation. But until now, there are no sample tests available on the official portal. You need to check consistently on the portal for practice tests. Note that Microsoft has now discontinued Exam AZ-200 and Exam AZ-201 for Azure Developer Associate role and replaced them with the Exam AZ-203 as per the feedback on the beta versions of AZ-200 and AZ-201 exams. A number of questions may hover into your mind about the AZ-202 exam and its preparation. Here we’ve gathered some of the frequently asked questions on the AZ-202 exam preparation. Go through these questions and clear your doubts. #1 If I didn’t attend the 70-532 exam, can I take this exam? Surely you can take. But, there’s no use. 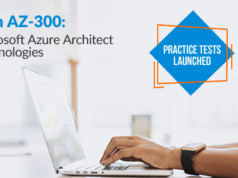 In order to become a Microsoft Certified Azure developer, you must have taken either AZ-200 and AZ-201 exams together or the exam 70-532 along with our transition exam, AZ-202. And if you’ve already taken 70-532 exam, make sure to take the exam AZ-202 before 30 June 2019, which is the retirement of this exam. #2 What’s the cost of taking the AZ-202 exam? The pricing of this exam varies from country to country. If you’re living in the United States, it’ll cost $99 for taking the exam. You’re eligible for a discount on pricing if you are a Microsoft Certified Trainer or a program member of Microsoft Imagine Academy or Microsoft Partner Network. Students are also eligible for discount. But, they should submit proper educational details to avail this offer. #3 What if I fail in the beta exam? Can I able to reappear for that? If you fail in the beta exam, you won’t able to reappear for the beta exam again. Afterward, you need to take the live exam which is expected to arrive within one or two months from now. Anyway, the retake should be done before June 30, 2018, which is the retirement date for this transition exam. #4 What’re the basic requisites should I know before starting my AZ-202 exam preparation? The prerequisites of this exam aren’t different from other Azure developer role based exams like AZ-200 and AZ-201. The candidate is supposed to be proficient in developing services and apps using Azure infrastructure that spans compute, storage, communications and security sectors. Moreover, he/she should have at least one year of experience in developing scalable solutions through all software development phases. Proficiency in a cloud-supported programming language is another requirement. #5 What’s the Exam Pattern of AZ-202? The exam generally contains around 40 to 60 questions which you have to complete within 150 minutes. You can expect short questions and explanatory questions. There’ll be no negative marks on incorrect answers. Anyhow, you won’t earn marks for not marking correct points in multi-point questions. You can expect different types of questions in the exam like active screen, the best answer, build list, case studies, drag and drop, review screen, repeated answer choices, short answer, mark review, multiple choice, and hot area. Anyway, Microsoft will not explicitly provide the details of the specific types of questions that can appear on the exam. #6 Will I get a refund if I could not pass the exam? No. In any way, Microsoft won’t provide the refund for exams you failed to pass or couldn’t take. Haven’t passed the 70-532 exam? Become a Microsoft Certified Azure Developer Associate by passing AZ-203 exam. 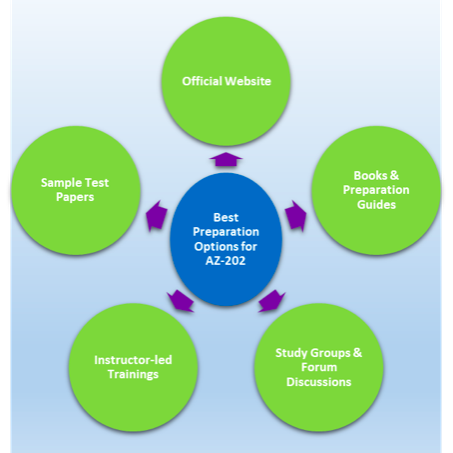 Start your preparation with the AZ-203 exam preparation guide. As we already checked, you may find a substantial number of AZ-202 Developer Certification Transition exam study materials if you search the internet. Undoubtedly, most of these materials would point to recommending some brain dumps which are illegal according to Microsoft. So, you need to take much attention while choosing a preparation guide for Microsoft AZ-202 exam. If you couldn’t find such a desired study guide, first try to gather information from all the available AZ-202 Developer Certification Transition exam study materials including official learning page, study groups, etc. and take the beta exam first. It’ll definitely help you to verify your study level and if you are lucky enough, you can pass the exam as well. We at Whizlabs are dedicated to helping you in your certification preparation. Check out our Azure Certifications Training Courses now and lead on the path to becoming a certified Azure professional. Be prepared to face whatever challenges you encounter during your AZ-202 Exam Preparation. And, wishing you all the best for your Azure Developer career. Amit is an impassioned technology writer. He always inspires technologists with his innovative thinking and practical approach. A go-to personality for every Technical problem, no doubt, the chief problem-solver!